Sending your student off to college can be filled with much emotion. The anticipation of the unknown may leave some parents thinking, "what will they do without us?" 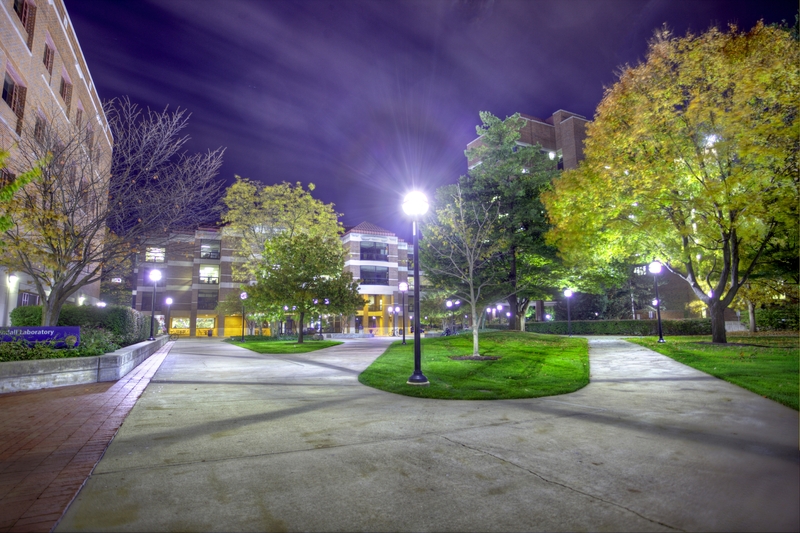 The University of Michigan is well equipped to help your student be safe and successful in and out of the classroom--in fact we have a whole division of staff dedicated to safety and security. The Division of Public Safety and Security (DPSS) is comprised of the University of Michigan Police Department, Housing Security and Hospital Security; units that work day and night to keep our community and students safe. Being out on campus and in residence halls and apartments is a part of UMPD and Housing Security patrol responsibilities. While patrolling, officers respond to calls for service or connect with students to discuss personal safety and community needs. Students (and parents!) can rest assured knowing that our team of officers are working around the clock to provide security services and uphold our campus’ safe and friendly feel. Our campus has more than 100 blue light emergency phones located throughout campus as well as emergency phones in elevators and parking structures. The direct lines automatically indicate the caller's location to UMPD so officers can respond. Lock windows and doors when leaving your room or apartment even for a moment. Walk or park in well-lit areas; call a friend before you leave to let them know when to expect you. Walk with a friend or in a group when out at night. Be mindful of your surroundings, if it feels unsafe trust your intuition. Unplug your earphones/earbuds when walking around campus; they can keep you from hearing cars on the road or someone approaching. If you have a cell phone, carry it with you when travelling. Call 9-1-1 if you see suspicious behavior or are in danger. Student can register their bikes, computers and personal electronics directly with UMPD and can sign up for UM Emergency Alerts, our automated emergency alert system which notifies students, faculty and staff of urgent campus emergencies via voicemail, text messages and email. Parents can also let their students know about two additional student safety programs this Fall Term, 2014. Student Life is providing an intensive, one weekend program taught by IMPACT Self-Defense of Chicago. The IMPACT class will take place September 19, 20, and 21, details and application to participate are available on the Dean of Students site. And if you're on campus September 21, 2014 for Parent Weekend, you're welcome to come view a demo of this empowering program. Additionally, students can still register for the School of Kinesiology's course Violence Prevention in College and Beyond for either Fall Term 2014 or Winter Term 2015. This 3 credit class includes lots of hands on practice as well as in depth reflection on the nature of violence and its effective prevention on U.S. college campuses and in our wider communities. Want to learn more about safety at the University of Michigan? Review information and resources in the Annual Security Report and Annual Fire Safety Report which is updated and published each October. Anyone (students, parents and others) with questions about safety and security on campus is strongly encouraged to contact DPSS at 734-763-8391 or visit the DPSS website.